I did a double major, specializing in Art History and Modern Literature, and obtained my Master’s degree from the Sorbonne. My thesis addressed the iconographic representation of the loves of the gods Mars and Venus in Renaissance paintings, poetry, and literature. I attended a program on French Painting at the École du Louvre with a year-long specialization in Museology, including an essay on the pictorial technique of Nicolas de Largillierre, in conjunction with the C2RMF (Center for Research and Restoration of Museums of France). As a speaker-guide preparing for the Heritage Curators’ examination, I had the good fortune to be asked to edit some of the Louvre’s online articles on Flemish and Dutch art. This delightful assignment was a great honor and probably even helped me pass the exam. The Old Masters position at Nantes Art Museum is my first posting as a curator and, coinciding with a complete renovation of the museum, has provided a wonderful opportunity to restore and study a collection that had previously received little attention. 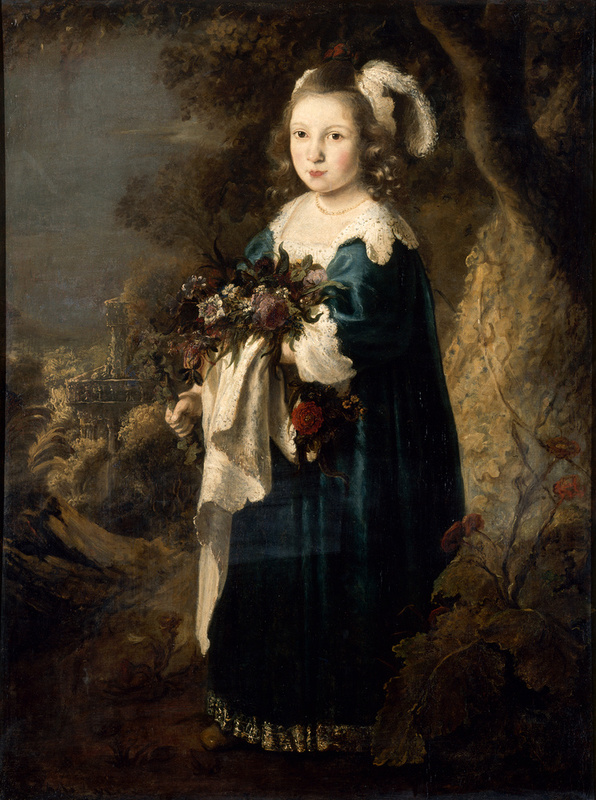 For a long time, the Flemish and Dutch collections were considered the “poor relations” in the museum’s Old Masters section, which was better known for French and Italian paintings of the seventeenth and eighteenth centuries. The remarkable work undertaken over several years by David Mandrella, which I had the great pleasure to be part of, helped rectify the imbalance and culminated in the splendid exhibition Flemish and Dutch: The Collection of the Musée des Beaux-Arts de Nantes (30 May to 30 August 2015, at the Château des Ducs de Bretagne), as well as a very comprehensive catalogue. This rewarding task provided an opportunity to rethink the entire collection and design a new arrangement of our Flemish Gallery once the museum reopened. While very few of the works are identified as such, some doubtless captured the interest of the collector as Old Masters. 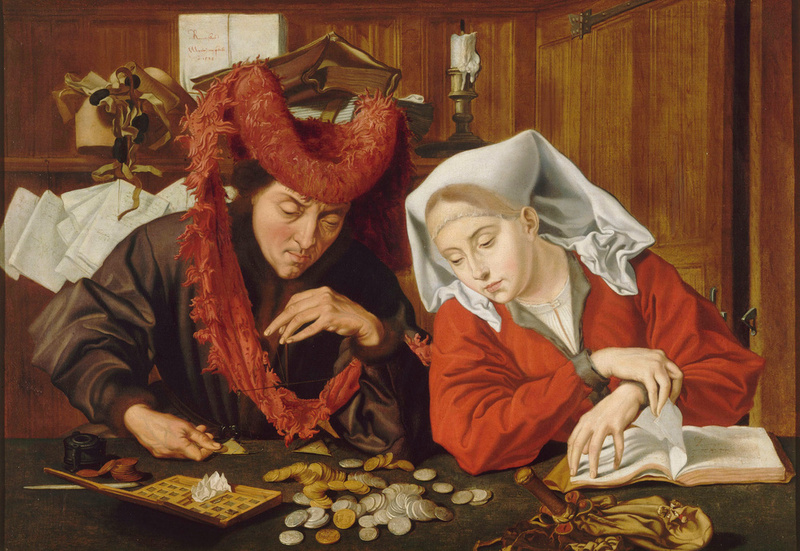 One such painting is a beautiful copy of the Fortune Teller, after Lucas van Leyden, identified by Cacault as an Old Master due to its subject matter (“Philip the Good consulting a fortune teller”); another is the copy of Marinus van Reymerswale’s The Moneychanger and His Wife, which Cacault attributes to the German school. François Cacault is also known to have owned “an exquisite and very precious painting depicting the Blessed Virgin inside a Gothic church,” as described in the old inventory records. This small work was no longer part of Cacault’s collection when it was purchased by the city of Nantes in 1810, having already been acquired for about fifty francs by Louis Nau, architect to the Diocese of Nantes, from “the former housekeeper of François Cacault”. But it turned out to be Jan van Eyck’s renowned Madonna in a Church, now in the Gemäldegalerie in Berlin! Within his “ideal museum” approach, in which art is presented as a progressive panorama, Cacault highlighted the predominance of Italy (of both Antiquity and the Renaissance) in his collection as a timeless model for the institution he aspired to create. His Northern paintings feature rather less prominently than the Italian ones, as might be expected from a former ambassador to Rome who had assembled his collection in Italy. The remarkable abundance of Arcadian or Italianate landscapes (including a truly rare work by Bartholomeus Appelman, as well as pieces by Jan Asselyn, Jan Both, Pieter van Bloemen, Bartholomeus Breenbergh, Abraham Genoels, Johannes Glauber, Herman van Swanevelt, and Lieve Verschuier) is understandable in this context. Other outstanding items from the Cacault collection include landscapes by artists who worked in both Flanders-Holland and Italy, such as Adriaen van der Kabel, Jan de Momper, and Pieter Mulier II (alias Tempesta), which nicely exemplify his collecting style. Note also the various seascapes reflecting the eighteenth-century side of Cacault’s tastes; these are attributed to Jan Theunisz. Blankerhoff or Ludolf Backuijzen II (or their circle) and were later complemented by contributions from other collectors (the Simon de Vlieger canvases acquired from the collector Fournier in 1814). Such works are very rare in public collections in France. The finest Flemish landscape painting in the Cacault collection and a favorite among the public is undoubtedly Gijsbrecht Leytens’ Snow Effect. An example of the most delicate wintry poetry, this competes for attention with a perfect duo of delicate Jan Brueghel the Elders and two large, exquisite pieces by Joos de Momper II – all examples of eulogistic scenes once owned by Louis XIV. Another strong aspect of the Nantes collection is its still lifes by Maerten Boelema de Stomme (“the mute”), Adriaen Jansz. Kraen, and Jan Vermeulen, plus a perfect Pieter Claesz. dating from 1644. The large history paintings were acquired mainly under the State redistribution policy (1804-1809), their monumental dimensions rivaling Simon Vouet and Philippe De Champaigne in the quest for a universal museum. Amongst them are a radiant and symbolic Rubens, a Gaspar de Crayer, an immense Theodor Boeyermans, and the intriguing seventeenth-century Last Supper by Gérard Douffet of Liège (originally allotted to Lille, but now in Nantes thanks to the efforts of David Mandrella). 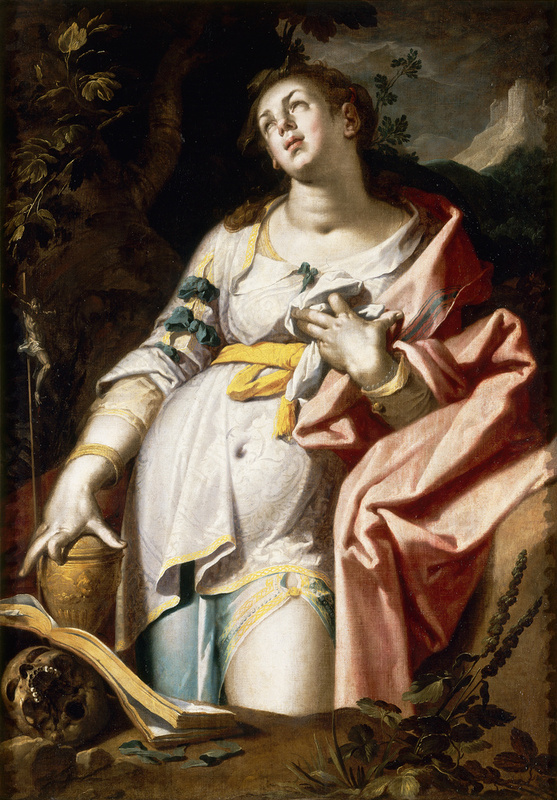 Other gems from the Cacault collection include Abraham Bloemaert’s powerful Madeleine, illustrating Utrecht Mannerism, a compelling Saint Sebastian (circle of Goltzius), a Rembrandtesque Jürgen Ovens (one of his only works in France), a delectable little landscape by Claes Moeyaert, a Diana Bathing with her Nymphs by Peter Lely (alias Pieter van der Faes), and a charming Little Girl – one of the celebrities of the museum – by the Govert Flinck. In conclusion, I would like to mention the exhibition Nicolas Régnier: The Free Man (2017-2018), which I co-curated with Régnier-specialist Annick Lemoine. We took great pride in this show, which combined the love of Italy so distinctive of the collector Cacault with the original approach adopted by the Flemish artist Régnier, at times imbued with an almost tactile sensuality and other times exuding his fine sense of humor. In preparing the exhibition, CODART has proven a great help as a resource in finding curators we needed to contact all over the world.